September 23rd, 2016 12:42 AM | by koreatech | anime. Fore-most this is NOT a motion picture . then a graphic introduction to promote the upcoming sequel of the historically-popular game . Beginning narrative of the classic science fiction novel Dune turned-into-a-movie in 1984, was a mess before even it all began and this would run-up to be second as if everyone is going the follow all the names . which then comes to accept that this is not going to be a good story, well told . Still, interesting that movie critics simply narrate the whole-run of the complicated story, while game critic sites compare its context to other trials of FF sequels . 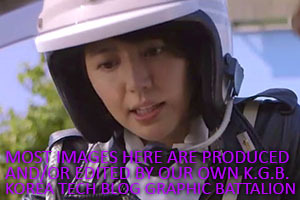 But here Korea Tech BLog finds its position among Otaku culture of the whole Japan before and after, to-come . Ofcourse they tried the Japanese series in English although much different Worlds as the other series needed differing titles like Bio Hazard vs.Resident Evil . then the familiar space-ship style above from previous sequels of Final Fantasy . No gamer can deny that his or her jaws dropped on first sought of this graphics sequence . there was an early-time when illustrators imagined the future of REAL computer-generated animation would be here when machines will be able to render movement of live hair as a person moves . Yes that age is now here no doubt . the glory of glittering eyes compliment that it every close-up scene . for graphics-lovers you recall that eternal moment you first saw the opening space scene in classic-of-all sci-fi movies : 2001 A Space Odyssey . but then we realize the un-natural blinking of the eyes and movement of lips as the purpose is to contain BOTH Japanese as well as English, like every Japanese games before that has gone Global . there-in lies the dilemma of to speak its original Japanese or inter-national English . for trailers from the to-be released original game show characters look out-right Japanese with trendy Shinjuku-style hair, this looks overtly Western . so the un-natural cultural mix-up when the former speaks English and latter Japanese . then you come to question why put all motion-capture on humans and try to animate to be exactly humans ? Niflheim attack on insomnia where a peace accord is going to be held, between Universly long-enemies . the amazingly-fun aspect of this series is the ability of Lucis Royal Family (in what is reminiscent of Japanese Ninjas) to Warp-Strike, to hurl future-version of Nepalese kukri, then immediately teleport himself to where it lands, no-matter where even upon the skies ! another amazing concept is that all elite Lucis soldiers draw powers from power from its King . 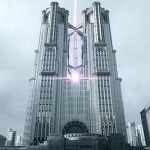 at the core of Lucis power is the King’s Ring that, if to-be worn by someone else : (in a flash-moment of halted TIME) has to be approved by The Spirits of the Past Kings, to use its power or be burnt at the spot .